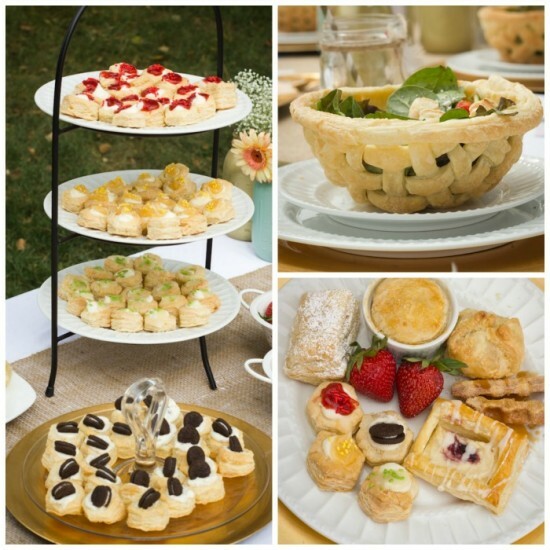 This past week I had the pleasure of hosting an amazing Pepperidge Farm Puff Pastry Brunch!! Everything turned out just as I had planned. 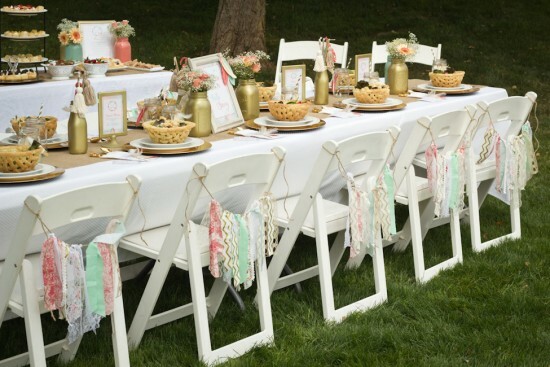 The weather was beautiful, the decor came together like a breeze, the company was new and old friends and the food was amazing!!! I just love Pepperidge Farm Puff Pastry! Before I share with you my recipe let me show you some of the fun photos from the Brunch!! We held it outside in the park just beside my house and the weather could not have been better!! 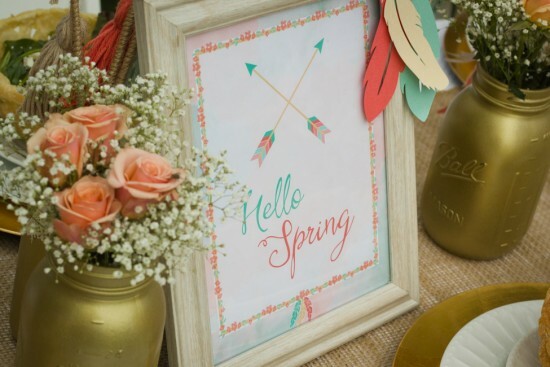 Because it was Spring I chose a fun “Hello Spring” theme with Mint, Coral and Gold as my color scheme!! It was perfect!! I also love the Bohemian Chic look and feel of things so I leaned towards that and incorporated it into my theme as well! 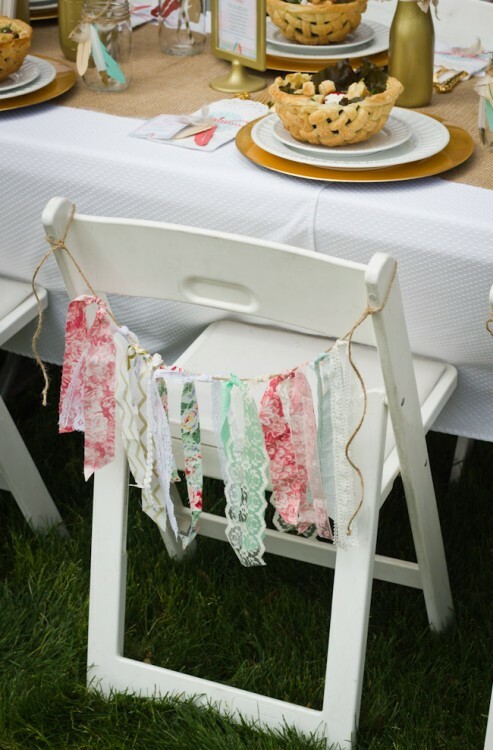 I loved the buntings on the back of the chairs it just dressed up plain white chairs so much! 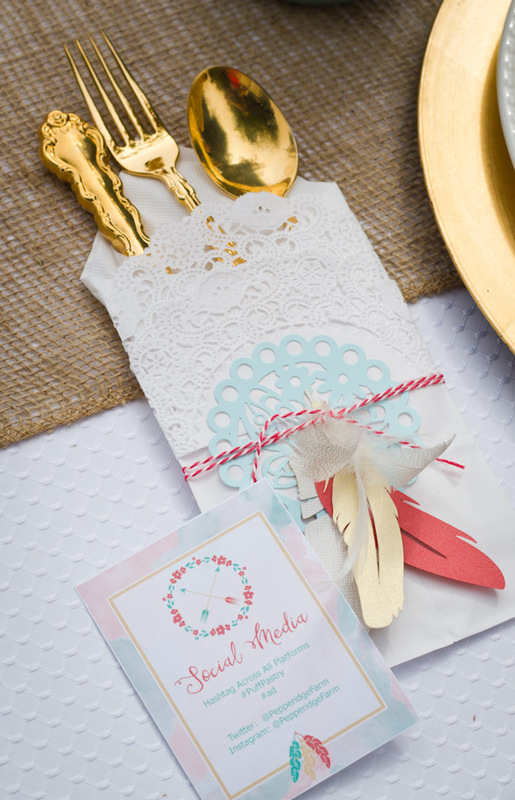 I even had gold silverware to compliment the gold in the rest of the decor! Now onto the food!! 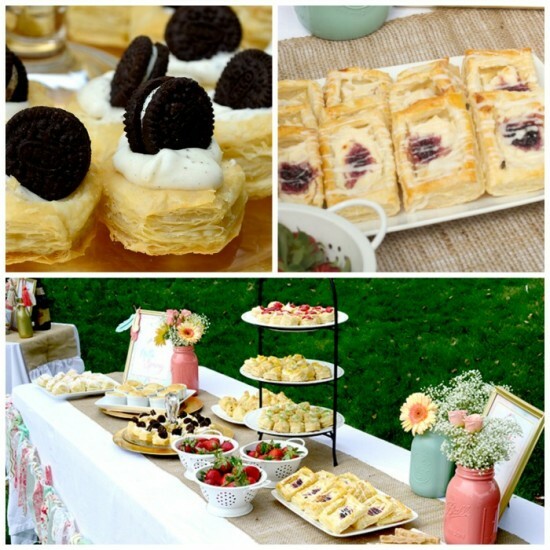 Pepperidge Farm Puff Pastry makes the perfect starting point for any recipe sweet or savory! I used the Puff Pastry Cups to make Cookies and Cream Tartlettes! They were sooo delicious! 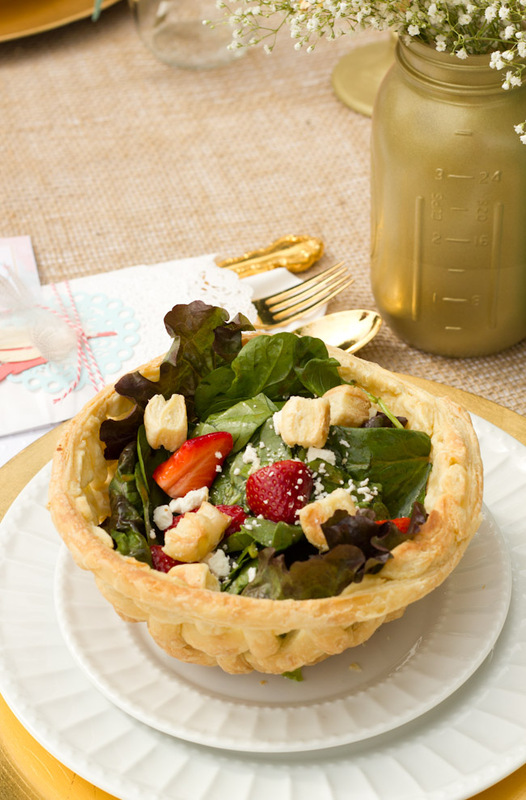 And of course I used the Puff Pastry sheets to make the Salad Bowls!! 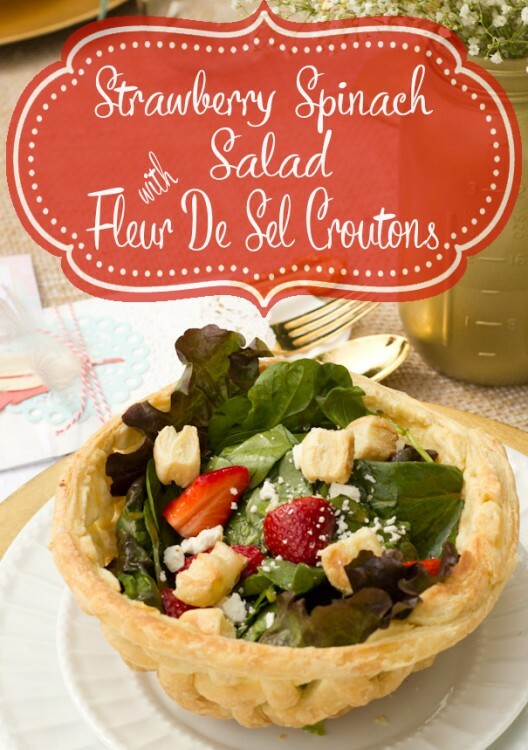 Making the Fluer de Sel Croutons is pretty easy! If you don’t have Fluer de Sel you can use any non iodized salt like a fine Kosher salt. These would be yummy tossed on top of Tomato soup too!!! 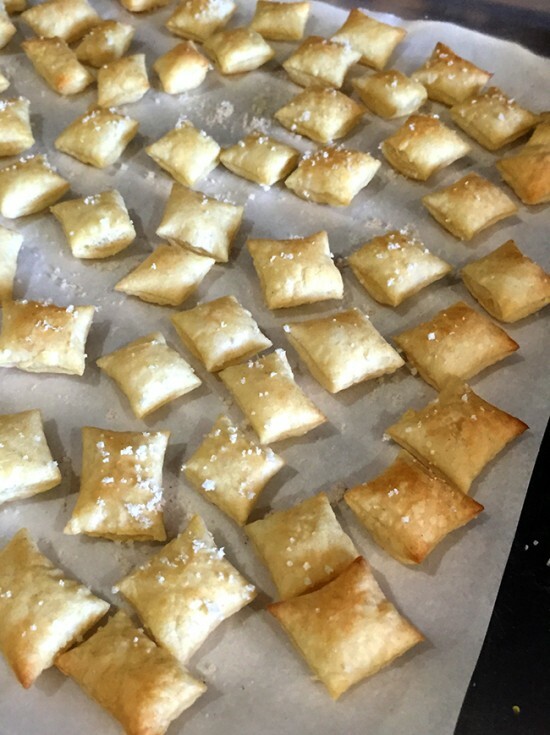 I have to tell you how much I love Pepperidge Farm Puff Pastry it can elevate any pastry recipe and take it over the top! 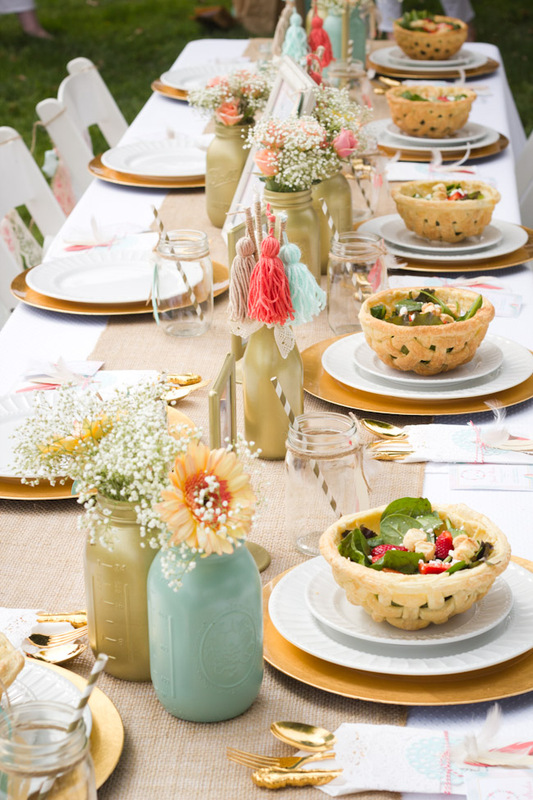 The Puff Pastry bowls were just one way to add that extra wow factor to any meal! It is easy to find in your grocers freezer and retails for about 4-5$ a box! You can find it in 3 varieties!! 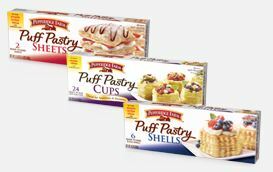 Pepperidge Farm Puff Pastry is my go to item to make any meal from plain jane event to an over the top fantastic meal! 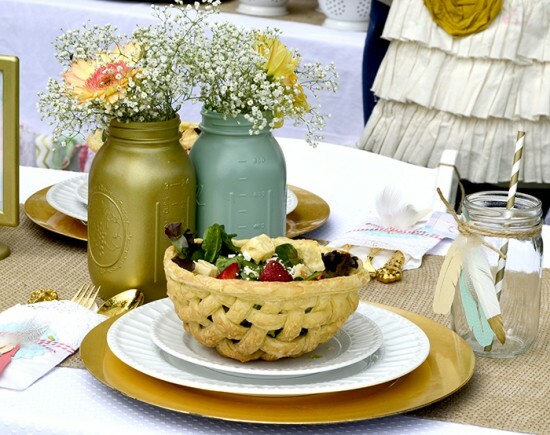 Click HERE for instructions on how to make the Puff Pastry Bowl. Roll out Puff Pastry to a 12”x16” rectangle (you will only need half) Using a pizza cutter and a ruler cut pastry in 1”x1” squares. Place on parchment covered cookie sheet sprinkle with Fleur de Sel. Bake in 400 degree preheated oven for about 20 minutes or until lightly browned. Cool completely before using. The Beautiful custom printables for this Brunch were created by the amazing Donna of Swish Printables. Thank you to Pepperidge Farm for sponsoring this event and providing me the opportunity to share my party with my readers. All experiences and opinions are exclusively mine alone.